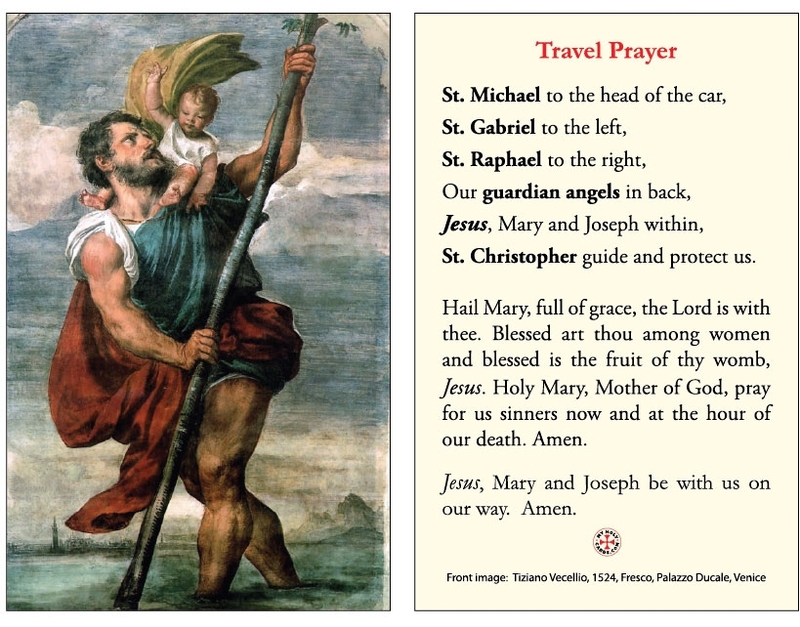 Size*: Standard 2.75" x 4.25"
A holy card with a beautiful travel prayer featuring an image of St. Christopher and the Child Jesus. This is perfect for a school, church or organization to give out! Printed on our offset printing presses using heavy high gloss cover stock! Very solid and durable. 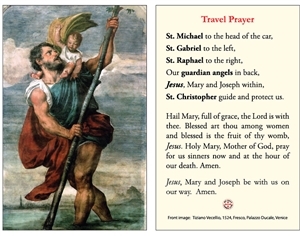 Standard size; 2.5" W x 4.25" T.